Just wanted to tell everyone I'm pretty much only using goodreads only now since Booklikes seems to have been abandoned by the developers. Feel free to follow me there or contact me if Booklikes comes back to life. 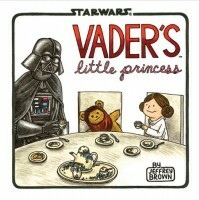 Cute story of Darth Vader and his daughter Leia who has grown up to be a teenager. Of course there is jokes and references about the movie. Recommend this, but I maybe wouldn’t buy it. It’s a quick easy read but I don’t think I’d want to read it more than once. The kindle version of this is a little weird, it has outlines on the pages and looks like you are reading it on your phone because there is a battery and wi fi signal on it. 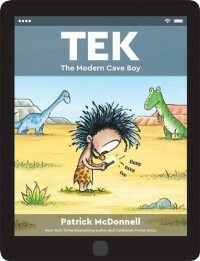 Anyway, this is a cute story about a little guy named tek who is completely hooked on gadgets. Once tek gets away from his gadgets, the weird outlines disapear and everything looks normal. Such a totally and sweet adorable book. Of course it’s written by Patrick Mcdonnell, so it’s no surprise it’s incredibly juicy and sweet. Highly recommend. My only complaint is that it’s too short. And another DNF for me. While I'm a little interested in what is going on, I just don't find myself making time to read this which a very good book would do. I'm disappointed I don't like this as much as some of my friends do, but I don't care enough to keep plowing through this. 5 Stars, Buy it. I love the pastel art and colors. I love the rhyming, the story was adorable. The cast bios at the end was very sweet and silly. 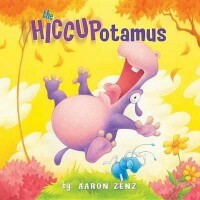 I sometimes wish children’s books were longer but I suppose there are only so many ways to rhyme Hiccupotamus. Definitely a good read for readers of all ages. Starting yesterday with Amazon Prime you can borrow books, including comics, magazines and regular books for free. You can read on your device. Not much selection yet but I suspect there will be more. I found 2 comics and a children's book I wanted to review. You can borrow up to 10 books at a time. WOOT!!! I hope the selection changes regularly. I’m really not liking this arc this much. They say at the end of this issue that there is only one more issue in the arc for which I’m grateful. I’m hoping the other characters come back in and so we see more of what is going on. 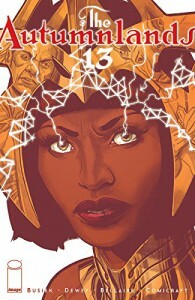 This is a hard series to read only once a month or so because some of the story lines are complicated. Still worth reading this issue just to follow along but I wouldn’t buy it unless that is the only option. Amazon Description: Now we've got GODS involved. 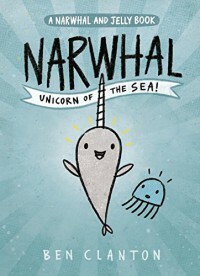 Great little children’s book on a Narwhal and a Jellyfish who doesn’t believe the Narwhal is real. There are some cute facts on the Narhwal and the Jellyfish so it’s also educational as well as being cute. I love the art! And the stories are really sweet. I definitely recommend this. And with this issue, I’m all caught up! The rest of the girls set out to try to rescue Mal and Ripley. Great issue and it leaves us all on a cliff hanger. I have to wait another month for another issue? NNOOOOOO!!! The writing is still fantastic, I can’t get enough of the characters, really like the story line. Great series. Amazon Description: Mal and Ripley are MISSING?! Ripley and Mal get into a boat load of trouble after haircuts. April and Diane nearly kill each other they are so angry with each other. Very good issue. 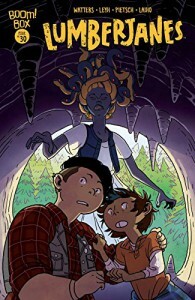 Amazon Description: Diane is back at camp and the Roanokes...don’t really know how to feel about that, especially when they discover a camper has been turned to stone! Magical kittens save the day. Barney becomes a lumberjane and Diane returns. Overall a good issue. Not spectacular but good fun and entertaining. I’ll be interested to see where this goes in the next issue. Amazon Description: (W) Shannon Watters, Kat Leyh (A) Ayme Sotuyo (CA) Kat Leyh. The Roanoke cabin have a heart-to-heart with the Zodiac cabin before going to save the High Council. 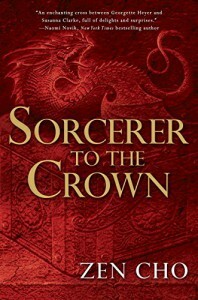 4 Stars, Buy it for the series I love the cover. But I can imagine it's going to piss some people off. No typically people who would read it however. It's been a while since I've done any reviewing and awhile since I've read any Pearls. As usual the introduction had me laughing and smiling. I love the treasuries with the running commentary from the author. I’d forgotten how these strips make me laugh. I liked the Facebook poke joke. I've been battling depression so while most of this was funny, there were the suicidal lemmings which made me uneasy. I know it's not the author’s fault but it was hard to find those jokes funny while I continue to recover from a bad depression. One of the things I did love, was the Mutts cross over. I love Mutts the comic strip and infact just finished a book. This book had the cross over strip in it which showed Rat (obnoxious character in Pearls) in a shelter stories strip for Mutts. Shelter stories are one of the types of strips that Patrick Mcdonnel runs and are beloved by many people including myself. They are usually tender hearted and sweet but in this case was funny. I did like the new penguins and I did like the vigelentte deer. 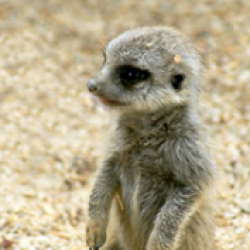 This site has gotten so slow. I'm using goodreads more and more again. Eventually I may stop using booklikes if this keeps up. I'm rather fed up with booklikes right now but for now I'll keep using it. Please come find me on goodreads if you want to keep following me.